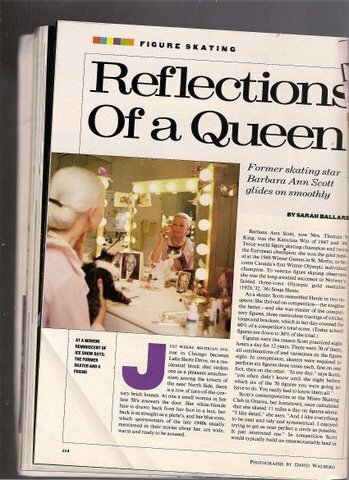 I still remember the first time I learned about Barbara Ann Scott. Leading up to the 1988 Winter Olympics, I was soaking in all I could about the sports and athletes. In addition to its spread previewing the figure skating competition to be held in Calgary’s Saddledome, Sports Illustrated also featured an article on Canada’s last women’s figure skater to win Olympic gold: Barbara Ann Scott. Back in 1988, it was remarkable to note that no Canadian woman had won a figure skating gold medal in 40 years. Move forward to 2012 and Canada still continues to wait for another to replicate Scott’s accomplishment. The friendly nation is in its 64th year without an Olympic gold medal in women’s figure skating. 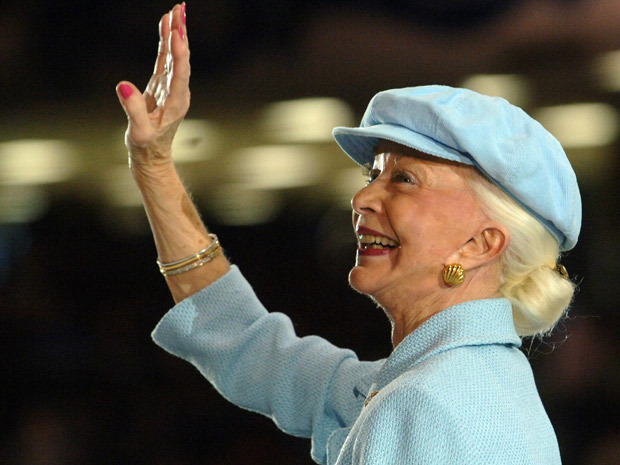 Earlier this week Barbara Ann Scott passed away. She was 84. Remembering that Sports Illustrated article, I had my parents look for it in my stash of Olympic memorabilia. Yet again they came through for me. I guess I need to think about moving these items to my home. How many figure skaters can say they had a doll created in their likeness in the pre-Barbie era? In 1948 the Reliable Toy Company began manufacturing the Barbara Ann Scott Doll. So proud of her were Canadians that they didn’t forget her when the 2010 Vancouver Olympics were held. Scott was selected as one of several to help carry the Olympic Flag during the opening ceremony (I had hoped that she’d be selected to light the torch.). While I was saddened by how much she’d aged, I smiled when I saw how elegant she still was, and how happy and proud she was to be representing Canada at another Olympics. Perhaps Scott didn’t have any triple or quadruple jumps in her resume. Yet whether on or off the ice, she carried herself with the poise, grace, and humility that is seldom seen anymore. Barbara Ann Scott isn’t just a role model for figure skaters. Or Canadians. Exemplifying modesty and patriotism, her “true patriot love” touched many “far and wide.” I can only hope that her legacy will not be forgotten and remembered by future generations.